I loved Sonya’s first novel in this series, so was pleased to get this one for review. I’d felt from what we read of Vadim in book one that he was a really interesting character, and very different underneath from the surface image he projected. It was great to find him as a major character in this book. The way the Magic Born are treated by the rest of the population is awful, herded into reservations, not given the same basic human rights as others and denied the chance to really live and love a free life. If “normal” parents had a child that tested positive for magic it would be taken to Freaktown, the reservation, regardless of their wishes. Clearly for those who could afford it, as always through bribes and false test results, children could be tested negative. That’s what happened to Elizabeth, and she’s been pressured and told to keep her magic hidden at all times. That comes at a cost though, and she’s mentally on the edge through the stress of controlling something that she’s never been properly taught. Vadim contacts her as he needs her position as Councillor, in order to access blank ID cards for those Magic Born he helps to escape to more sympathetic countries. Not all take the strong and rigid stance the US does. Its a fear factor always, and I could see exactly this happening if there were people with magical abilities now. People are frightened of what they don’t understand, and anyone a bit different from the norm is subject to some form of discrimination. Any member of a minority group will tell you that. I became disabled in my mid thirties, an amputee, and yes, people do treat me differently. Not all but enough that its noticeable, so I can see why Elizabeth wants to hide what she is, she’ll lose everything if it gets out but it does make her a target. Vadim – I love him, he’s such an interesting character, hard nosed, businessman addict on the outside and yet…he does so much to help others, running the funds and supplies for those who need to escape, helping and protecting those living in Freaktown..a real man of mystery. When he meets Elizabeth though something electric touches them both, and they find a real close connection. Dangerous for both of them, and with the upcoming complete segregation of Normals and Magic Born it’s something that could lead to heartbreak. Its a great read again, and I’m now understanding the whole Magic Born world and abilities much better. A series is often like that for me, once into a couple of books the very different world created starts to become familiar. 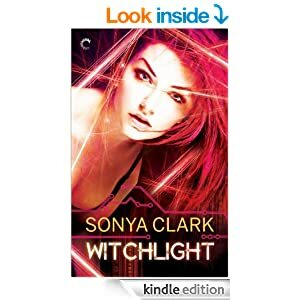 Its one of the reasons I love to re read series and this one from Sonya is going into my favourites file for exactly that. I’m reading my way through another very dystopian world series currently, Allie’s War, and I’ve found exactly the same thing in that the longer it continues the more familiar the world, the people and their abilities are becoming to me. Stars: five, a cracker of a read, great characters, gripping plot and fantastic world setting offering so much promise for future novels.